Joshua Spece (rhymes with lease), his mother Sue, and his sister and brother have a dream: to build a handicap accessible house in Independence, Iowa. All the Spece children are wheelchair dependent. Sue is their tireless, dedicated caretaker. Called “Building a Dream in the Country,” it’s a remarkable, uplifting story of the Speces’ special needs and the quest for financial support after a major funding disappointment. You can view this extraordinary, heartwarming story by clicking HERE. Included is an optional YouTube presentation. Josh is a member of The American Hosta Society’s Executive Council, serving outstandingly as Web Editor-in-Chief. Most AHS members likely know Josh as author of the insightful “Standout Hostas” columns in The Online Hosta Journal. In addition, those who follow the online hosta auctions know of Josh’s generous donations. Josh and Sue are proprietors of In the Country Garden and Gifts, with the tagline “This is Hosta Country,” one of the leading, most respected retail hosta nurseries. It also features other shade plants, sun perennials, books, and “odds and ends.” There is an online catalog. The 2013 First Look Online Auction, held during the middle two weeks in February, from Sunday 2/10 through Saturday 2/23, contributed to the “Building a Dream in the Country” fund. 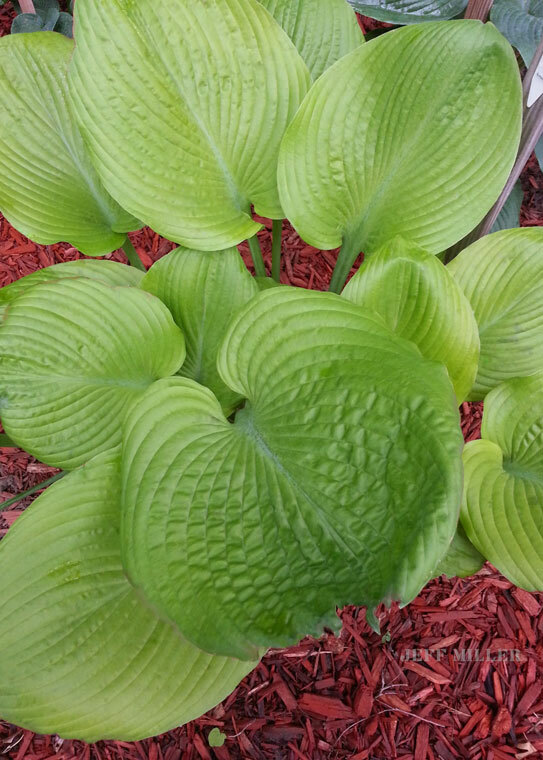 Two “Special Item” hostas were donated. Both had the same proviso. They are not to be propagated, shared, or resold without the permission of the donor. Hosta ‘Giantland Believe in a Dream’, donated by Jeff Miller of Land of the Giants Hosta Farm in Milton, Wisconsin, was offered on the last Wednesday morning. The starting bid was $100.00, and by early Thursday afternoon reached $500.00, the winning bid. 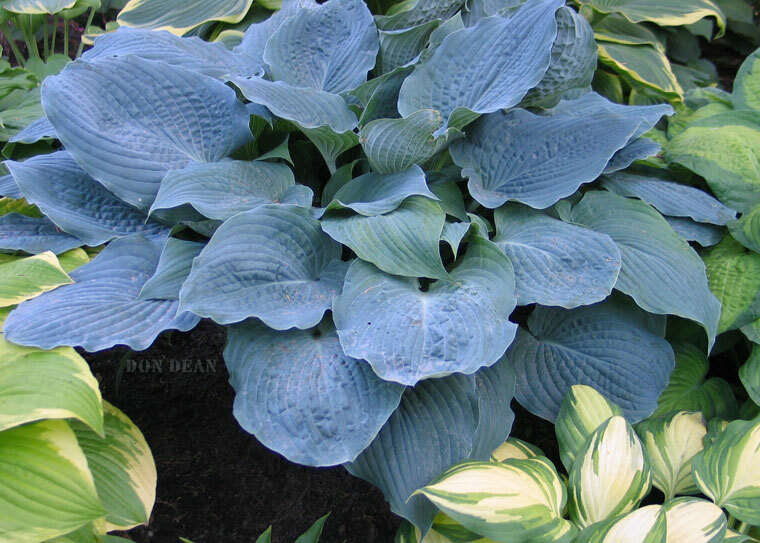 The other "Special Item" hosta, donated for the Spece’s dream house, was ‘Country Dreaming’. It was offered in the early afternoon on the last Thursday. The starting bid was $250 and in only three hours it went to $500, which was the final bid. Don registered ‘Country Dreaming’ this year. It has deep, rich, blue leaves approximately 11 inches by 8.5 inches, forming a medium clump 22 inches high and 40 inches in diameter. Parentage is ‘Purple Verticulated Elf’ × (‘Northern Heritage’ × OP). H. ‘Purple Verticulated Elf’ is a Ralph “Herb” Benedict introduction, registered in 2003. H. ‘Northern Heritage’, a medium green streaked-leaved hybrid, was registered by Don in 1999. H. ‘Giantland Believe in a Dream’ and ‘Country Dreaming’ each received the highest bids at the First Look event - $500. What made these hostas a Special Event was that First Look announced it would donate the winning bids for both hostas to the Spece fund. Furthermore, First Look would donate additional funding to the Spece Dream House fund. For ‘Giantland Believe in a Dream’, First Look pledged to donate double the winning bid up to $500.00. Since it sold for $500.00, First Look donated $1000.00. For ‘Country Dreaming’, First Look pledged to match the winning bid up to a $500.00 donation. It went for $500.00; accordingly First Look donated $500.00. In total, the Spece "Building a Dream in the Country" fund received $2,500 from the 2013 First Look Online Auction. “Nice to do something good for someone in the community who needs help,” Bill remarked.